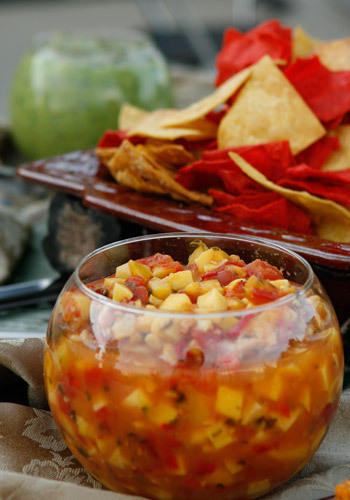 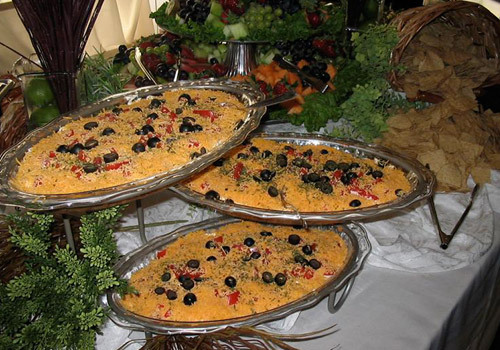 LET THE CHEF AT SWEET CAKES AND ROSES prepare breakfast, lunch, or dinner with beverages for your next event. 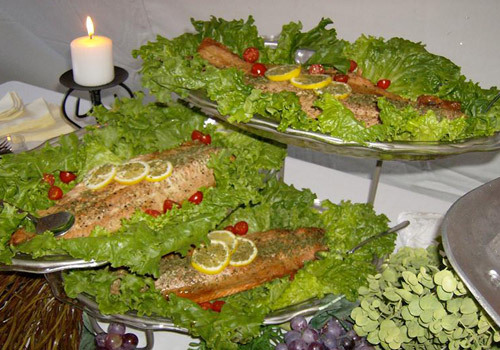 We will deliver to your specified time and venue. 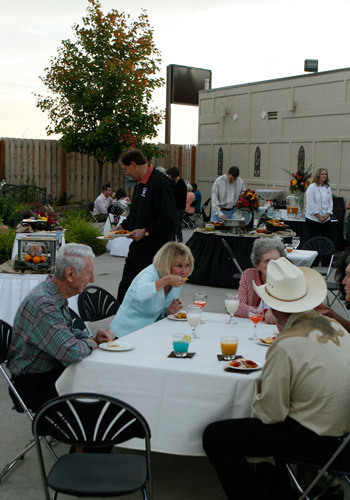 Tasting is available by appointment beforehand. 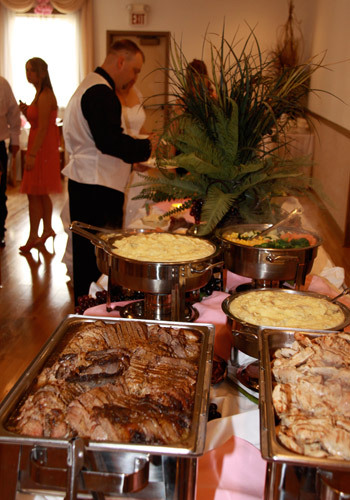 • One meat dinner entrée starting at 12.95 per person, double meat entrees starting at $15.95 . 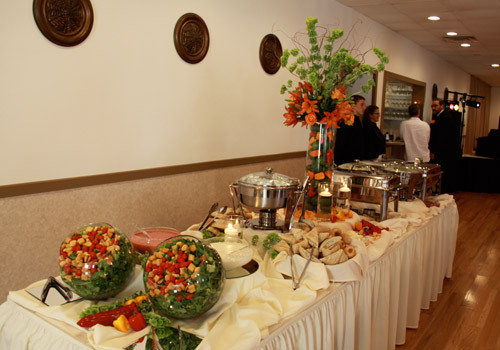 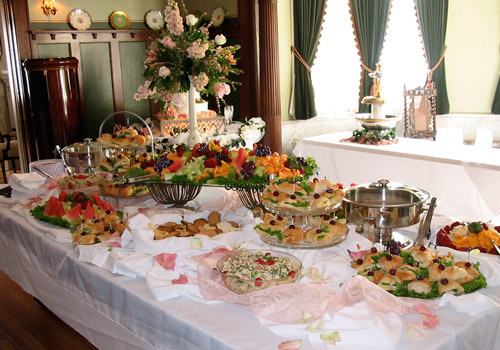 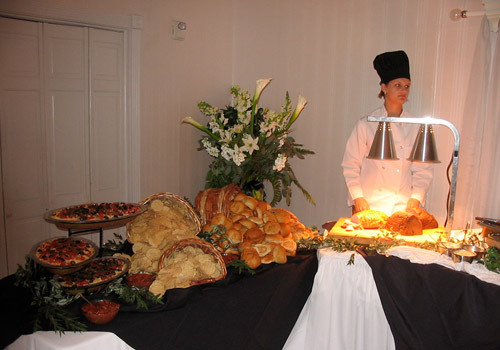 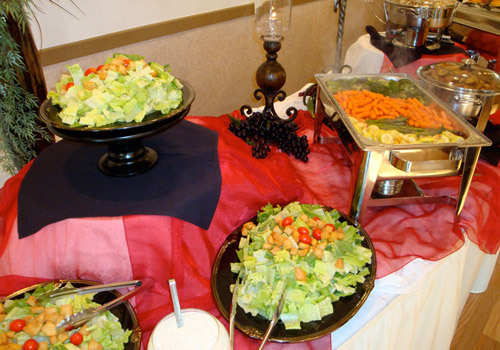 • Meals served buffet style or, for an extra charge, plated. 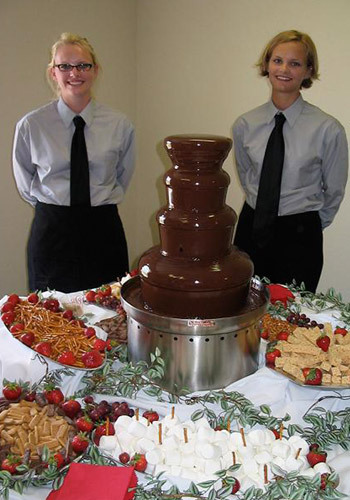 • Black tie wait staff provided for serving and bussing. 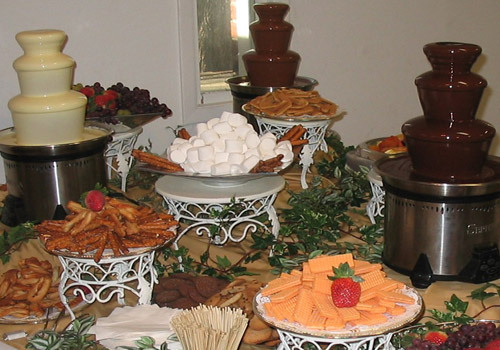 • Chocolate fountains and candy stations. 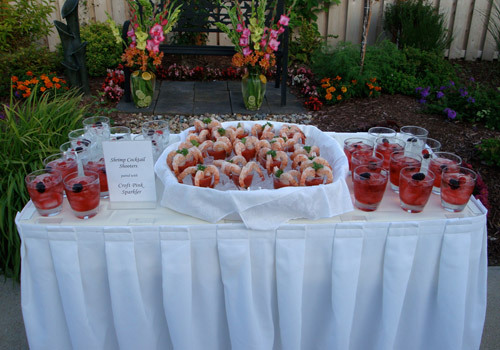 • Hosted alcoholic beverages or cash bar. 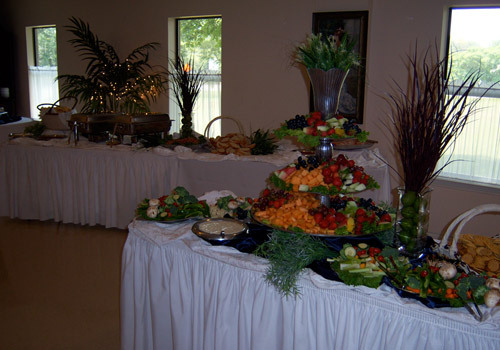 "....We enjoyed the "breakfast" dinner and many people were pleasantly surprised, and said the food was really good!!! 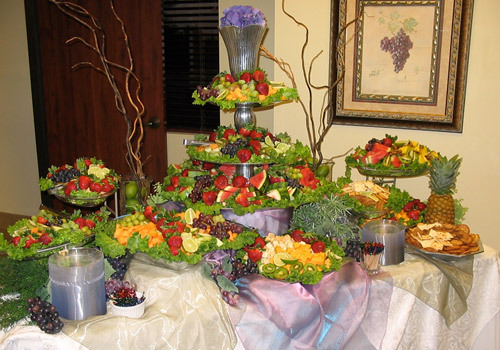 The food was also beautifully displayed. 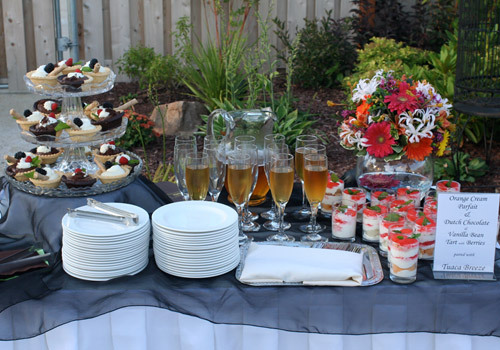 The cake was outstanding...Thank you so much for a wonderful evening!"